List of cool Chromecast Apps to download in 2017: The age of a Gaming console or a “Smart” TV is suddenly taking shape across the whole world. This is the new way to make the best use of your TV. But if don’t have access to them, worry not because there is Google Chromecast. The device initially launched in 2013 by the tech giants was a rather glitch one, but the new, improved version is among the very best, and also the cheapest, out there in the market. The thumbstick is now open to many more Android and iOS apps now than before making it even better. But to view content, you might need some compatible apps on your device. Don’t fret as we have compiled the must-have apps on your device to get the best out of the Chromecast. 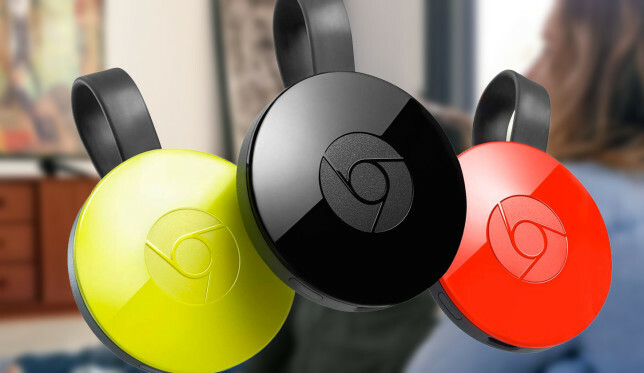 LocalCast is the ideal companion for your Chromecast device. It helps to play any video stored on your Android smartphone or tablet onto your TV screens. Besides videos, you can also stream music and photos via the Windows network share and are also able to share and stream your media content present on Drive, Dropbox and Google Plus. The Udemy app is full of many different free and paid courses for you to increase your knowledge. Now, with the help of Chromecast support you don’t have to look up your lessons on your smartphone. Instead, you can cast them upon the big screen and sit back comfortably whilst learn something new. It has taken them a very long time, but finally, Spotify has the Chromecast support now. With this app, now you can cast all the best music from around the world and play them through your TV’s speakers. This intriguing app brings you all the latest and possibly, some of the greatest anime series back to your TV screens. Albeit, these shows are combined with irritating advertisements side along the videos but you can get rid of them by going for a premium service which allows you unlimited viewing coupled with exclusive content. We all love watching other people play games online, Don’t we? This is exactly what Twitch helps you to do. It shows you people across the world play games live. The app is full of gamers playing on their consoles or on PC and now, coupled with the Chromecast support, you can cast them over to your big screen. If you are a TV and film junkie, then Netflix is surely your dream place. Netflix allows you to watch anything from anywhere. But what’s the use of paying for something when you cannot enjoy it? Now, you don’t have to watch everything on tiny screens of your smartphones or tablets, you can easily cast them to your TV easily with the help of Chromecast. If you are looking forward to expanding your knowledge base or finding something which you can ruminate upon, then TED Talks are the thing for you. You can easily find the TED app compatible on Chromecast on a number of platforms so that you can view it on the big screen instead of the usual TV drama series. Well, here is something that would intrigue the sports fans around here. BT Sports is also available for your Chromecast device and makes sure you don’t miss out on any Premiership game ever again on your TV screens. Although the app might be available as free for your smartphone, you would still have to subscribe to a TV package from the broadcasting channel to be able to actually use it. If you are a gaming freak, this app just might be your best friend for your Chromecast. It helps you to play, review and stream an endless amount of gameplay and trailers on your TV screen via your smartphone. This app differs from the more traditional counterpart in a way that it delivers you the new content directly to the casting device. Are you in love with Podcasts? Want a different experience that listening to podcasts other than from your smartphone? The Pocket Cast app allows you to cast these podcasts onto the big screens. Although the Chromecast support added to the app sends them directly to your screens, these might be much more useful when coupled with Chromecast Audio as they are directly sent to a pair of speakers. Angry Bird is suddenly popular once again and thanks to the recent release update allow online multiplayer entry to the newest game, Friends allows you to cast the game on your screens. You can now use your tablet or smartphone as a controller and play the game on the big screen. Now TV brings all the benefits of the Sky subscription to your TV screens via the Chromecast. Now you can watch Game of Thrones and True Detective, latest action from the world of sports and all the upcoming movies at a single place. It might not be a free service, but it is certainly one of the best to pay for. Dashboard Cast allows you to create and organizes different widgets, shift their positions and allows you to stream them directly to your TV screen. The app includes everything from calendar appointments, weather updates, and playlist streaming to website RSS feeds. The kid’s version is designed specifically to make sure your kids can sit down in front of the TV and learn from the interactive video content. This app won’t contain any unsuitable content and is devoid of all the unsavory aspects involved with the Internet. This totally free app is perfect to increase your little one’s knowledge. Now, you don’t have to worry about missing any of your favorite TV shows thanks to the BBC iPlayer app for Chromecast. You don’t have to strain your eyes now to watch the shows on your mobile devices and instead you can just cast them onto your Television.